You should consider seeing an orthodontist in case you notice that your child has a misaligned jaw or crooked teeth or both. An orthodontist is a dental specialist who deals with the perfection of smiles with the use of several orthodontic appliances. Some of the orthodontic appliances include bands, brackets, headgear, rubber bands, retainers as well as wires just to mention a few. It is good to know what appliances your orthodontist can use to repair your teeth or jaw in order for you to make an informed decision on the best one for you. Most of us are familiar with braces, but there are more appliances that are used in this modern era. Despite the numerous improvements braces are what are mostly used for correcting misaligned teeth as well as straightening jaws. The principle mechanism of action of braces is the application of pressure to the jaw or teeth that are out of position. While most of us might think that braces are only limited to some metal devices it is good to note that the market now has a variety of braces. In the past teeth used to be solely bands, but the current practice advocates for brackets to be bonded to the specific teeth’s surface for correction. In some cases they are placed in a way that is hardly noticeable. Braces could be made from a number of materials for instance ceramic, stainless steel, plastic or a combination of the various materials. These materials usually result in appearances of the braces used to be either clear or tooth-colored. In other cases, the wires used in metal braces could either be made from copper-titanium or nickel-titanium. The use of these materials stems from the fact that they are durable and they generally need very few adjustments compared to the traditional stainless steel ones. Advancement in the dental industry has led to the use of invisible trays. These appliances are an appropriate alternative to the wires and the traditional braces for purpose of teeth alignment. The invisible trays have been considered as suitable options for some clients who just required to be done on basic orthodontic procedures. The procedure involves the use of removable trays which are custom-made and clear, this then apply pressure on the teeth to be aligned. It is a convenient option but it is a bit expensive compared to the methods used previously. Temporary Anchorage Devices, or TADs are orthodontic appliances which have started getting popular in the industry. They are basically mini-screws measuring 6 to 12 mm in length with a diameter of 1.2 to 2 mm. Orthodontists usually use them when they want to have a fixed point of applying pressure to teeth by fixing them to bone in the teeth temporarily. By using TADs, a predictable tooth control could be achieved. 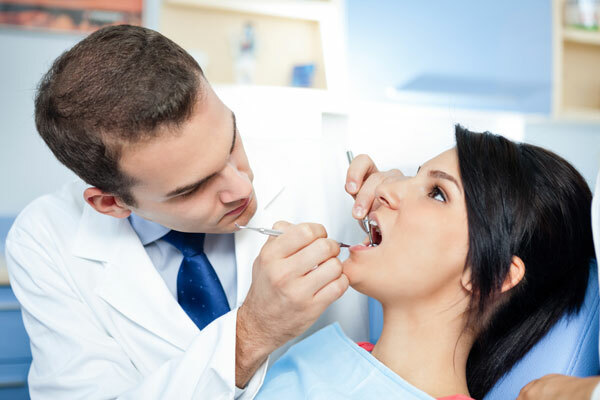 Many specialists in the field are starting to consider them for more procedures. Other orthodontic appliances are the bands which are synonymously referred to as elastics. They are usually used when orthodontists desire to use relatively more force to move teeth or jaws to the desired position during the alignment process. You will conveniently be allowed to pick the color that you prefer for the bands. It is good to mention that most children prefer their school colors and some decorate their mouth on holidays. The orthodontic appliances mentioned above are the ones that are commonly used. Other common one are headgears as well as retainers which basically operate on the principle of applying pressure to the teeth that are to be corrected. Written by Dr. Darren Wittenberger, is the best orthodontist Columbia MO has to offer, and owner of his own practice, Advance Orthodontics. Dr. Wittenberger enjoys sharing his expertise to ensure people can maintain the healthiest, straightest teeth possible!